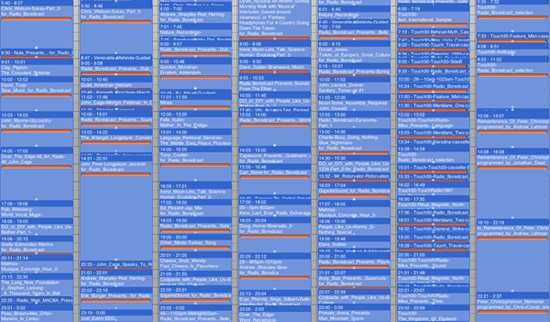 Many thanks to all who helped and pledged in the 2013 WFMU Fundraising Marathon. The station made it’s goal and can continue for another year. If you did not pledge or give your support then please consider doing so. WFMU has supported People Like Us a great deal over the past 15 years. Very nice chart of interesting online listening experiences, including Radio Boredcast. For newcomers, the full archive of Radio Boredcast can be found here. Background Cultural organisations in the North East of England have a strong record of working with artists to develop participatory arts projects in different settings. As part of a national arts research project funded by the Paul Hamlyn Foundation and designed to facilitate new dialogues around and understandings of participatory arts practice, the University of Sunderland is working with a consortium of regional partners (ArtWorks North East)* to develop a clearer understanding of what makes for good participatory practice. The overarching aim is to establish an innovative and sustainable cross disciplinary approach to creating excellent practice in participatory leadership. As part of this, ArtWorks North East is together hosting a series of ‘critical conversations’ over the next 12 months involving artists, participants, host groups and other collaborators from a variety of art forms. We are inviting different people responsible for creating and delivering participatory work to reflect on their practice, and to open that practice up to discussion by others. Each conversation will take place in an open learning atmosphere in which artists/presenters will share their practice with others and where people feel able to ask challenging questions about that practice in appropriate ways. The Pixel Palace is delivering one of these events on behalf of the University of Sunderland. This event will focus on Participation in Creative Digital Media and online environments. We would like to discuss the different models of practice which exist and seek your views on issues of quality, process and experience. We hope that the opportunity to reflect on practice will be beneficial for those attending as well as informing this research project. There is an interview with Vicki Bennett in the next issue of the excellent THE SOUND PROJECTOR magazine, where Radio Boredcast is discussed in great detail. Highly recommended magazine! 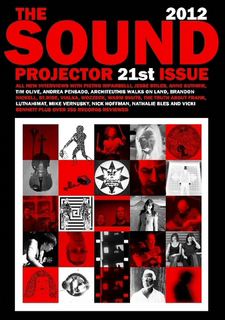 Buy Sound Projector 21st issue, June 2012. Radio Boredcast Now Archived At WFMU! Given that Radio Boredcast is a 744-hour online radio project, we consider today (20 June), The Longest Day, a most appropriate time to make this announcement. Curated by Vicki Bennett (People Like Us) with AV Festival, Radio Boredcast responds to our ambiguous relationship with time – do we have too much or not enough? – celebrating the detail, complexity and depth of experience lost through our obsession with speed. BASIC.fm first hosted the project through the duration of AV Festival (1-31 March 2012) and now this unique and colossal archive is accessible for “Listen on Demand” at freeform radio station WFMU. An impressive list of participants were invited to create new radio shows, audio works and mixes in response to the AV Festival theme “As Slow As Possible” and thematic playlists and contextual programming surround these creations. The full list of participants are: Carl Stone, Pseu Braun & Alex Orlov, Touch, Rob Weisberg, Nicolas Collins, Andrew Lahman, Chris & Cosey, Jonathan Dean and Transmuteo, Cheese Snob Wendy, Kevin Nutt, Tony Coulter, Daniel Menche, Scott Williams, John Wynne, Chris Watson, Jem Finer and Longplayer, Tim Maloney, Ergo Phizmiz, Matmos, Dave Soldier, Charlie and Busy Doing Nothing, Andrew Sharpley, Nancy O Graham, Gwilly Edmondez, Anna Ramos & Roc Jiménez De Cisneros, Doug Horne, Irene Moon, David Suisman, Radio Web MACBA, Mark Gergis and Porest, Jez Riley French, Don Joyce, Carlo Patrao and Zepelim, Dorian Jones, Jason Willett, Zach Layton, Primate Arena with Alex Drool and Eran Sachs, David Toop, Dylan Nyoukis, Jared Blum and GiganteSound, Ed Pinsent, Adrian Philips aka Mr Rotorvator, Axel Stockburger, Craig Dworkin, Felix Kubin, People Like Us, Language Removal Services, Daniela Cascella, John Levack Drever, Joel Eaton, Clay Pigeon, Gudrun Gut, Charles Powne, Carl Abrahamsson, Andreas Bick and Silent Listening, Phantom Circuit, Patti Schmidt aka Wheelie Houdini, Leif Elggren, Ken Freedman, Erik Bünger, Douglas Benford, Christof Migone, BJNilsen, Andy Baio, Adam Thomas aka Preslav Literary School, Caroline Bergvall, Ken’s Last Ever Radio Extravaganza, Tapeworm, Brent Clough and The Night Air, Ilan Volkov, Nat Roe, Steven Ball, X41, The Long Now Foundation, Sharon Gal, Michael Ruby, Jonathan Leidecker, DJ/rupture, Gordon Monahan, Michael Cumella aka MAC, Lloyd Dunn and nula, DDDJJJ666, and Kenneth Goldsmith.. Thematic playlists run throughout from “Acconci” to “Zzz…” programmed by Vicki Bennett. This has been a great project to curate and create, and although the theme is Slowness, we urge you to get over there now and have a listen!